Successfully Added 2.2 Inch TFT LCD Color Screen Kmh And Mph, Speed Alarm。Brake performance to your Shopping Cart. car Heads Up Display (HUD) puts all the information you need right before your eyes. With its bright and colorful display the information is displayed clearly and in an easy to read format on your windshield, so you will feel like a fighter pilot while behind the wheel. What's more won't ever need to divert your eyes from the road to check your speed, direction or mileage. Quick and easy to install, just place this car HUD on your dashboard using the anti-slip pad, place the reflective film on your windshield and now enjoy driving without taking your eyes off the road as all the information will appear before your eyes on the windscreen. Supporting ODB II means this car HUD will interface directly with your vehicle, the unit also has automatic brightness adjustment to ensure a clear view that is glare free night or day. Your car's speed can be displayed in km/h or mp/h and with a speed alarm, you will be alerted if you creep over a pre-set limit. Other features include local time, distance traveled, journey time, as well as current direction and satellite connectivity. It requires no additional devices and with its plug and play this car HUD couldn't be easier to install. 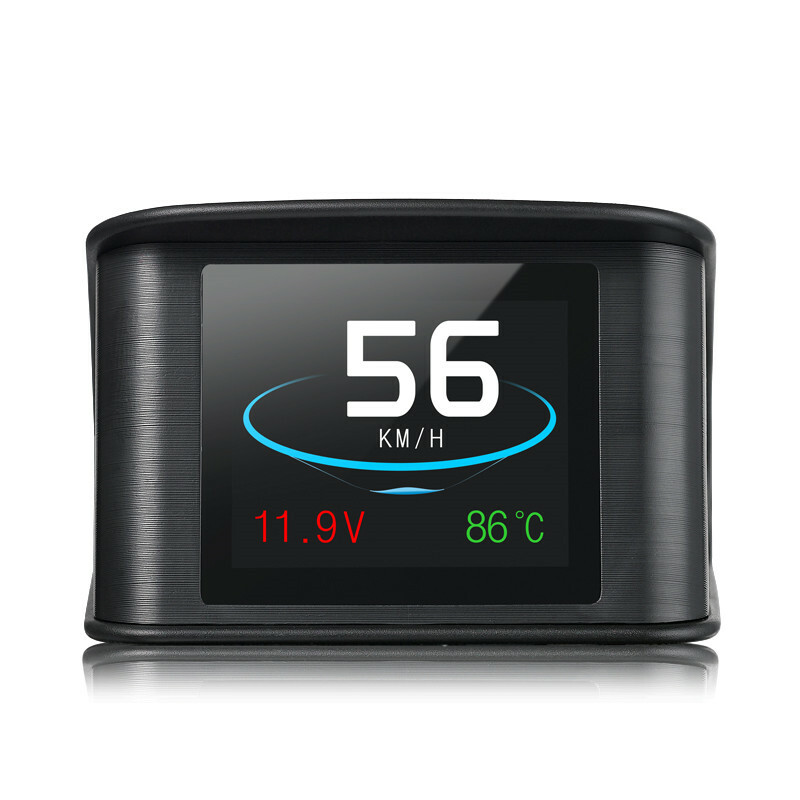 This car HUD comes with 12 months warranty, brought to you by the leader in electronic devices as well as wholesale car gadgets and car DVD players.. Tip: please consult the applicable vehicle type before purchase. Rich Contents: speed, compass, single driving time and distance, local time, satellite number, altitude, speed alarm, free switch between km and miles.Accelerated competitive mode test, brake performance test, read full vehicle data flow.